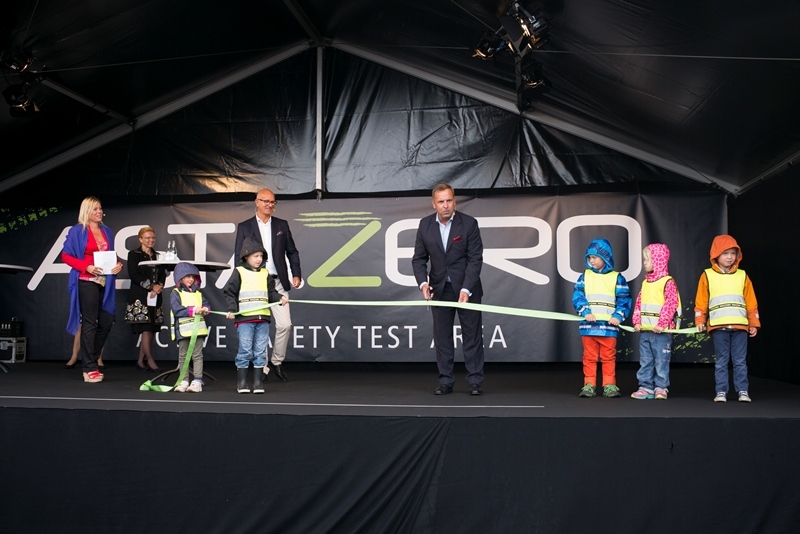 A dream came true for Swedish traffic safety researchers when Astazero, the most advanced testing facility for active safety, opened on August 21. Sweden can now take a leading position in the development of the future’s automotive technology. Last time Secretary of State Håkan Ekengren visited Hällered outside of Borås, he wore a safety helmet, stood on a cliff and watched excavators and bulldozers working in the wilderness. Just 1.5 years later he returned to inaugurate Astazero, the first full-scale test environment for the future’s traffic safety solutions in the world. It cost half a billion to build and covers an area of two million square metres. ”It may be hard to imagine the big change automated cars will bring about for traffic and safety, but what is clear is that we have now reached a milestone. This facility will contribute to the development of more convenient and safer traffic, it will contribute to saving millions of lives,” said Håkan Ekengren before cutting the blue and yellow ribbon. Chalmers owns Astazero together with the SP Technical Research Institute of Sweden. 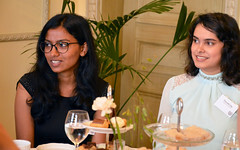 In her speech President Karin Markides (above) thanked government, industry and academia for the cooperation that made the facility possible in just a few years. Anna Dubois, professor and Transport Area of Advance Director, also wanted to take this opportunity to emphasize Chalmers collaboration with other players – something that has strengthened since the vehickle and traffic safety center Safer was established at Chalmers in 2006 and has received an extra boost by the government’s strategic investment in transportation research since in 2010. 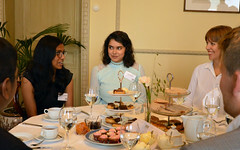 ”This has enabled the mobilization of a growing number of research disciplines in the area, which in turn has led to accelerated development, particularly in active safety”, she said. The same is true for research on self-driving cars, and automated transportation systems. 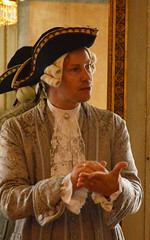 Astazero now becomes that extra asset that gives Sweden the chance to become a world leader in the development. During the inauguration show at Astazero’s huge high velocity race track, several hundred visitors were given an idea of how far the development of safety solutions has come today. An automatic break system saved the life of the child test dummy “Urban”, a car about to hit another car while changing lanes was redirected by an automatic blind spot system and an electronic stabilization system prevented a large truck from overturning in a curve. 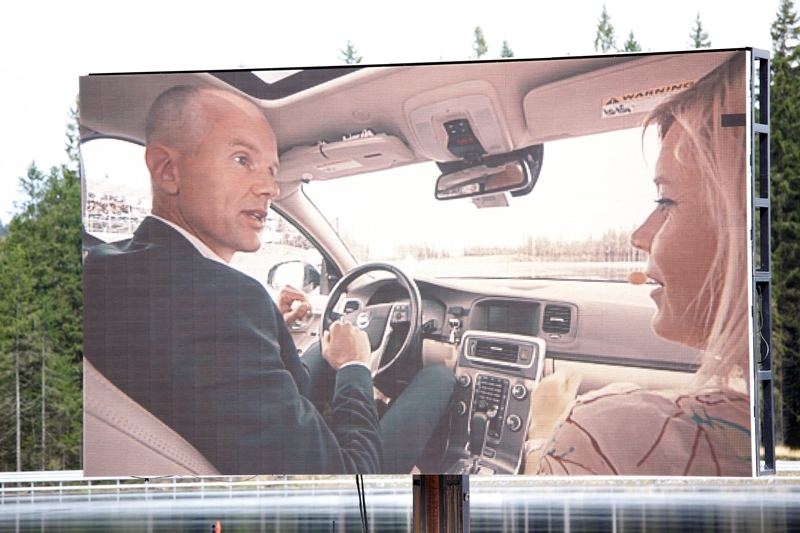 Through a video link, the audience could also see how a completely self driving car went for a drive on the 5.7 kilometre long road. 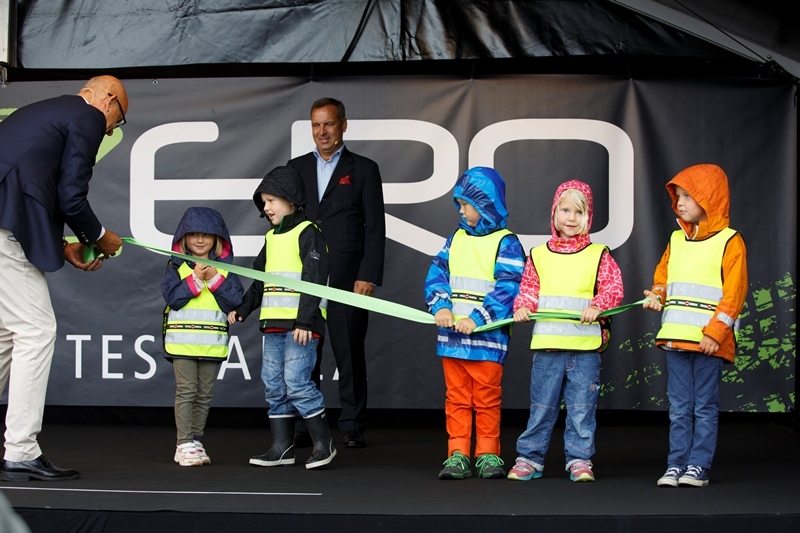 Caption for the picture at the top of the article: Håkan Ekengren, Secretary of State, cutting the ribbon held by kindergarteners from Hestra Midgård. 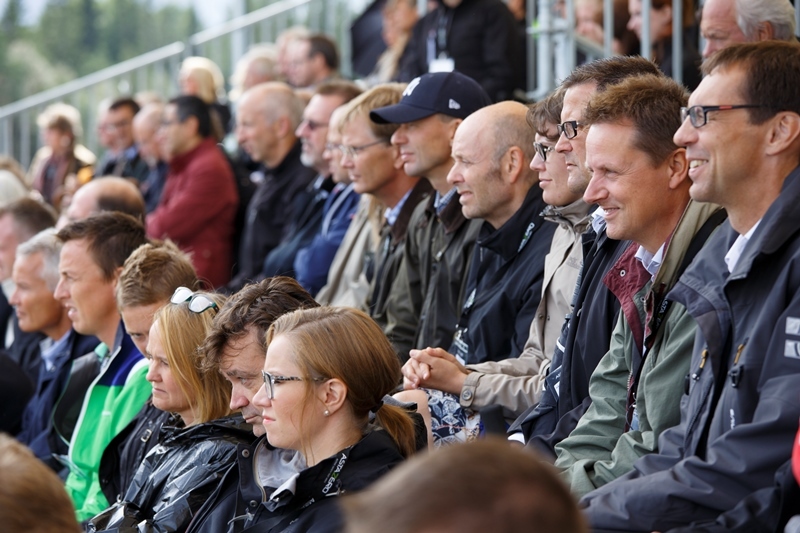 Maria Khorsand (obscured), Linda Nyberg, Karin Markides and Astazeros CEO Pether Wallin are watching. Film Photographers from TT and GP captures close-ups of a tuned Volvo V60 in action. When the test dummy Urban shows up on the street of Astazero’s own Harlem, the car breaks automatically. 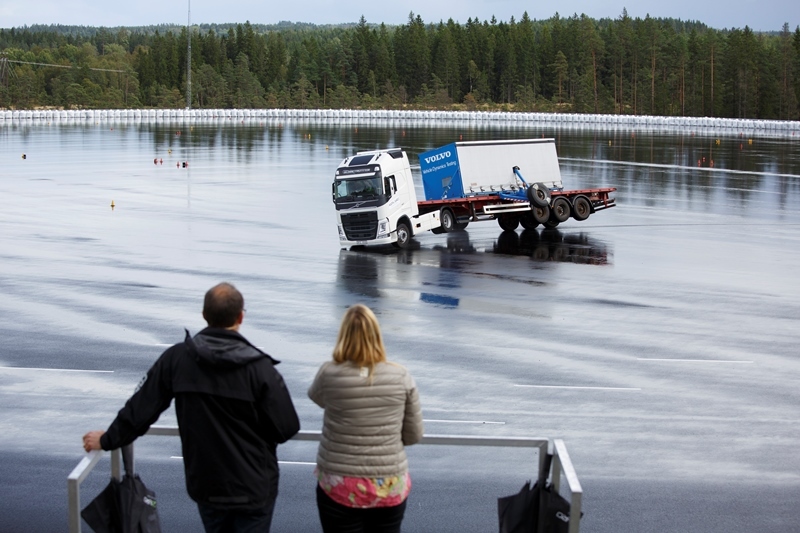 Volvo Trucks shows how easily a truck can tip over on a highway exit, without their new stabilization system.